CANTON, MA (November 25, 2013) -- With Black Friday only days away, Dunkin’ Donuts, America’s all-day, everyday stop for coffee and baked goods, is making spirits bright for the height of the holiday shopping season, introducing special coffee offers and coffee-themed gifts, both in-store and online. Dunkin’ Donuts’ holiday coffee celebration includes discounts on packaged coffee and Dunkin’ Donuts K-Cup® packs, a T-shirt selected in the brand’s first-ever global design challenge, and Dunkin’ Donuts Cards available in festive holiday designs. Leading off, Dunkin’ Donuts is helping people keep running throughout the busy weeks ahead with special value offers to enjoy Dunkin’ Donuts’ famous coffee at home for the holidays. Now through December 29, guests can purchase Dunkin’ Donuts’ packaged coffee for the special price of three pounds for $19.99 online and in participating Dunkin’ Donuts restaurants (offer begins on December 2 in Metro New York). Also, beginning on Thanksgiving, November 28, and continuing through the holiday season, guests can purchase Dunkin’ Donuts’ K-Cup® packs, for use with the Keurig® K-Cup® Brewing System, for the special price of two boxes for $19.99. Both offers are available while supplies last at participating Dunkin’ Donuts restaurants nationwide. 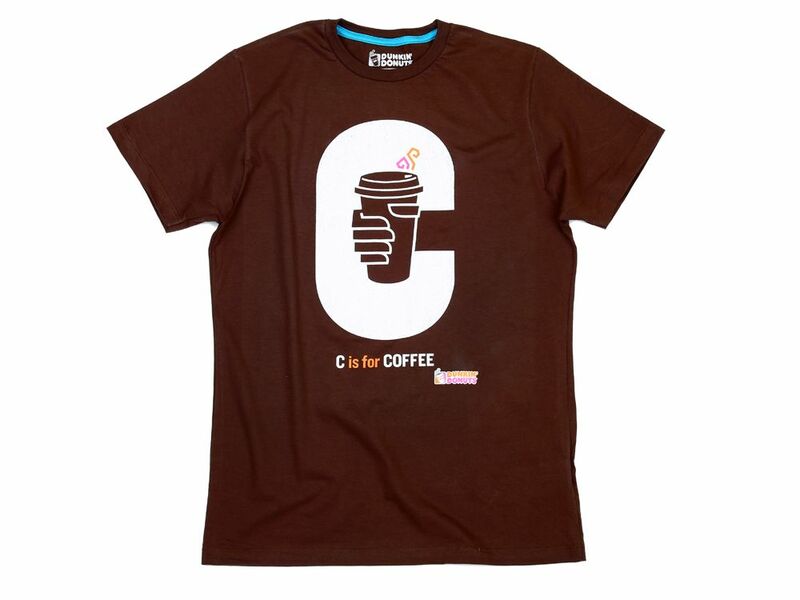 Also, as part of the brand’s host of holiday gifts, Dunkin’ Donuts today unveiled a special new “C is for Coffee” T-shirt, available for order while supplies last exclusively at Shop.DunkinDonuts.com. The T-shirt art work was created by Phil Jones of Minneapolis, MN as part of Dunkin’ Donuts’ first-ever global T-shirt design challenge, which launched on National Coffee Day in September in partnership with Threadless, a creative community that makes, supports and buys great art. For submitting this special design, selected in partnership by Dunkin’ Donuts and Threadless, Mr. Jones receives $7,000 cash and a $500 Threadless gift code, as well as free coffee for a year or $100 in Dunkin’ Donuts merchandise. For a fun and affordable Black Friday or Cyber Monday present, Dunkin’ Donuts Cards can keep friends, family and co-workers running through the holidays and well into the New Year with Dunkin’ Donuts; famous coffee, donuts, beverages, baked goods and sandwiches. Available this season in a variety of holiday and winter-themed designs, Dunkin’ Donuts Cards can be purchased at any participating Dunkin' Donuts location in amounts from $2 to $100, as well as online at DunkinDonuts.com, and at many grocery, pharmacy, and big box retailers. Dunkin' Donuts Cards always have no fees and no expiration date. Finally, to help keep people running through one of the busiest days of the holiday season, Dunkin’ Donuts restaurants will be open on Black Friday, with some opening earlier than 5 a.m. so guests can get a great start to the holiday shopping season. To help keep people connected as they keep themselves running through the hectic holiday hustle and bustle, almost all U.S. Dunkin’ Donuts restaurants offer free hi-speed Wi-Fi access. For anyone seeking a place to check email or browse the Internet while enjoying delicious food and beverages, Dunkin’ Donuts is now the ‘hot spot’ to keep running both online and offline through the holiday season and beyond.